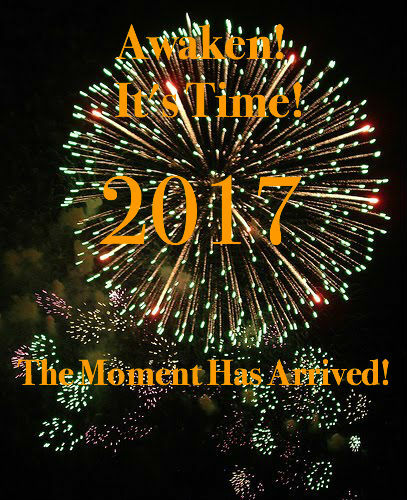 Now is the most powerful time in history with a groundswell of Global Awakening. There is a shift and change energy now. The old ways of being are not working anymore and our ego is going through some painful resistance of change. Change of the old out dated behaviors and patterns that created the life we desperately want to change. What in our life needs to change? The Mercury Retrograde of December into early January brought up past unhealed issues for us to work through to assist in this process and prepare us for this magnificent new 1 year...a new cycle and new energy. With this time of rapid awakening it is also bringing dramatic change for some to assist you in your awakening as it brings the shadows that need to come front and center now to be released. We are detaching from ancestral pain, struggle, and trauma. A crumbling is taking place. The old structures of corruption, greed, lies, deception and all things of a lower vibrating energy will continue to collapse as the new higher frequency of the planet can no longer sustain this lower vibrating energy of the 3rd dimension. The curtain was pulled back to show us all where we all have judgement, racism, anger, hate and old programmed ingrained belief systems still at work that is being reflected back. We are taking back our power in accordance with our soul. People creating havoc is a miniscule infraction. The old earth passing away will include people who can't reach the higher dimensions. As Eckhard Tolle says " we either transform or we die". ​The establishment is in for an overhaul with Pluto in Capricorn. The energy started in 2008, which was the beginning of the cycle we are now ending. There is no going back to the old ways because of these higher frequencies. Ah yes! The Age of Aquarius is truly upon us!!! And truly exemplified by the first president to be an outsider of the establishment. Shaking up the status quo! It is important to remember that we are ALL awakening and transforming including our elected officials. Expect a total overhaul of the stagnant and broken system that no longer functions for the people. We will see a total shift in energy as it becomes what is good for the whole of society, not the ego driven mindset of the establishment controlling power structures. For the people! We will see great abundance possible for all as this is what we are manifesting. Ultimately we are being shaken to move out of our programmed thinking and structural beliefs as we move into a more spiritual global awakening where hearts are opening and compassion replaces judgement and fear. The soul of the world is shaking things up. To do that it needs to get extreme. Don't go to the fear...go to the possiblities. The density will shift and move more rapidly because of the higher frequencies that are invoking more light. The light allows us to move through the negative more quickly. Opening your heart is the only way to move through this. It all happens through the heart energy now. The heart is connected to the Universe. Hearts are VERY important now. Expand your Greatness! This is the time you have come here to live out. We are birthing something new. A whole higher form of life on this planet. We must take full responsibility for where we are putting our energy. We are working towards a New Global Age of Peace and Harmony. To get there we will need to balance our Masculine and Feminine energy. We are anchoring in the Divine Feminine and healing the wounded Masculine so the two will become balanced. We need to bring the strength of the Feminine in the form of love to the Masculine. Uniting the Feminine and Masculine is the gateway to higher consciousness. The only way is through the heart...a heart centered way of being. The Feminine leads through love. Love in all forms...from mastering our emotions to love of our bodies and sacred sexuality to the love of our manifesting. Love from the Feminine is the fuel for the Masculine to open its heart. It must come from the Feminine first. The Masculine will move out of seperation behavior of the ego taking action, goal driven mindset to taking action from the Divine higher Guidance that is service driven. With Pluto in the energy of ambition all of 2017 it is imperative to look at how our work can become more service driven and inspired. Bringing in more Spirit called to a higher possibility. Ask everyday "How can I serve". Watch what shows up. We will be called to get our entreprenurial act together. What do you want to give birth to in this 1 year? What has been on the back burner? If the signs are showing up of jobs ending it is for this great purpose. Let go and Let God with Joy! Thank You, Thank you, Thank you. With Uranus going direct as of December 29 it is the great liberator. Be prepared to take your life into a bold new territory. Courage is the key. Embrace it...it is your time! You must be willing to be uncomfortable if you want to change the world. 2016 brought us face to face with our collective and personal shadow. 2017 is a year of rebirth, transformation and new beginnings. The 9 year energy of 2016 was discovering your service...but not knowing what to do with it. The universal 1 year of 2017 is when we plant seeds. You may not know the form but your purpose will call you. You don't need to know the how and what yet. The old ways won't work anymore...and the New Way is not yet clear. Look at who you have become as a result of the last 9 year cycle ending in 2016. The 1 year is about independance, initiation, achievement, and creative individuality. New Start and Ground Breaking. The challenges with 1 year energy can be a lack of self esteem, sabotaging our leadership ability and independance. Be careful of victim energy, cynical behavior, and judgement. Be curious and explorative as opposed to "my way or the highway". The 1 year is the pioneer. In 2017 we can trust in our highest good. Let Spirit be your partner. Learn to FEEL in ways you have never experienced before. That which you are feeling is being made manifest. You are a mighty powerful Being! You are being called to participate in this Great Transformation at the very highest levels.